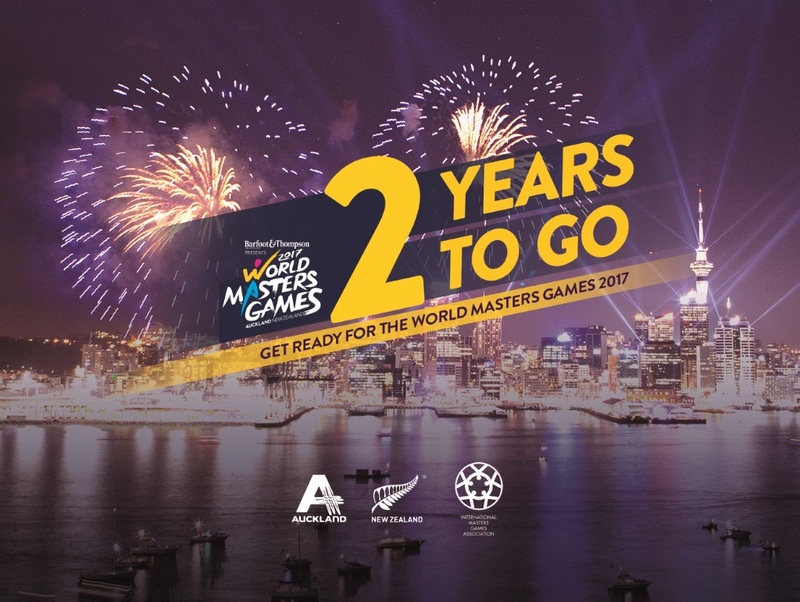 Last Tuesday 21st April 2015 marked “two years to go” until the World Masters Games 2017 kicks off in Auckland. It will be the day that 25000 masters athletes come together from all over the world to march in the opening ceremony on 21 April 2017. As one of the 28 codes within the Games programme, orienteering is just one sport that has planning well underway for what is an event of considerable scale and complexity. The last major multi-sport event held in Auckland was the 1990 Commonwealth Games. WMG2017 will be 12 times the size in scale across the total sporting programme. World Masters Games Chief Executive, Jennah Wootten, says celebrating two years to go is a key milestone for everyone involved in the event, particularly those tasked with logistical planning across the 28 sports and 45 disciplines. “Auckland has never hosted a multi-sport event of this size and scale, but we’re incredibly pleased with the planning progress to date, and confident that together with our sports partners we can work through the technical complexities,” she says. “This year we plan to make some major announcements such as the venues of the opening ceremony and Games hub, which will be a focal point of 10-day sporting festival. Then later in the year we’ll be preparing to open registrations so that athletes from around the world can sign-up and make detailed preparations.